Lyric Pieces, Op. 12; Lyric Pieces, Op. 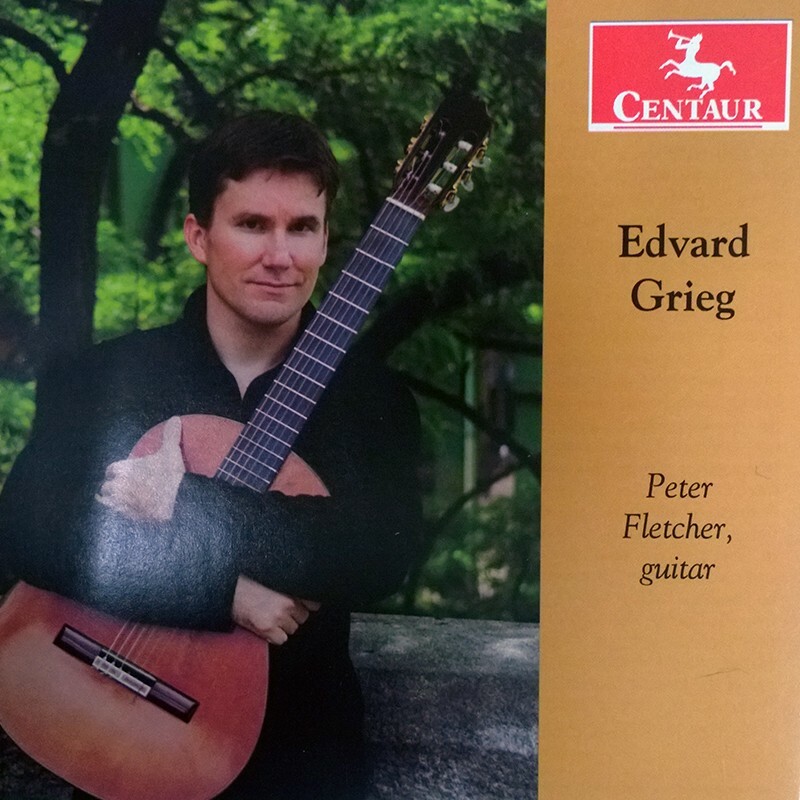 68; Chanson De Solveig (from Peer Gynt); Sarabande (from Holberg Suite, Op. 40), Melody, Op. 47, No. 3; Peasant’s Song, Op. 65, No. 2; Once upon a Time, Op. 71, No. 1; Lullaby, Op. 66, No. 7; In My Homeland, Op. 43; Elegy, Op. 47, No. 7; Remembrances, Op. 71, No. 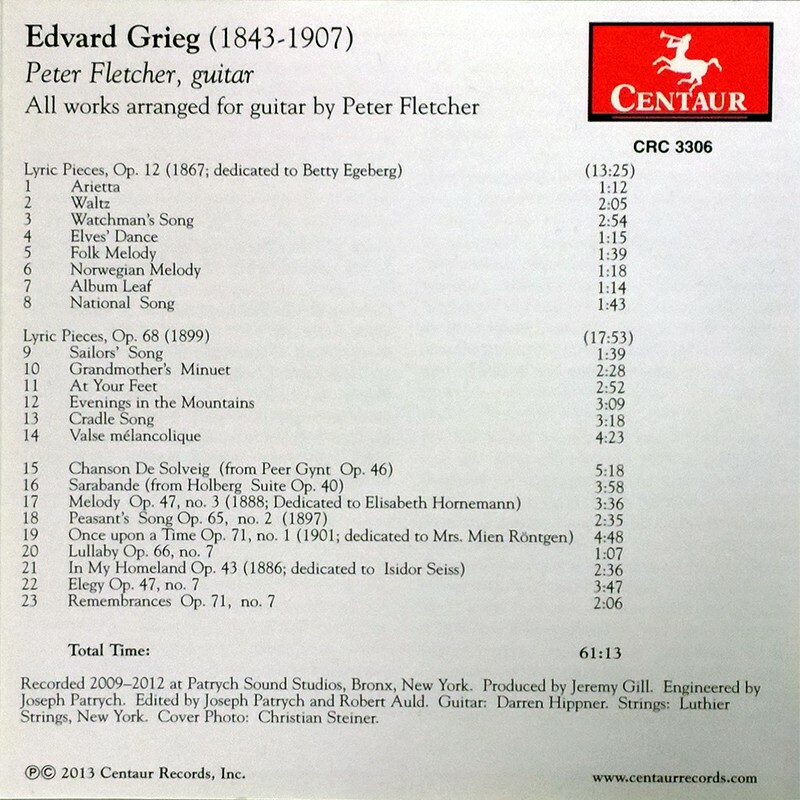 1; All works arranged for Guitar by Peter Fletcher; Peter Fletcher, guitar.